We are a multi-faceted art gallery and event space that offers a variety of all things art to the Evanston area, including art classes and workshops. Our unique, sophisticated space also hosts gallery-sponsored concerts, openings, and other events, while serving as a rental event venue for birthday parties, wedding receptions, banquets, lectures, meetings, and other private gatherings. Our first floor features a local artist gallery and serves as a venue for monthly performance art that we sponsor, as well as space for community events and functions. Featuring local and Evanston-loving artists, our gallery conjoins an assortment of art, reflective of the city’s varied community. We strive to bring a unique array of visual and performance art and we work hard to ensure that everyone can find a piece that speaks to their personal taste and fits their budget. The second floor houses rented artist studios, secure art storage, and space for art classes. Our art classes are focused on meeting you where you are. If you want a challenge, want to explore a medium, or just want to see if you can even draw anything, we have an art class for you. From beginning drawing to open studios to intensive workshops, we offer a wide array of classes and workshops. Our instructors will work with you to achieve your goals. Ice House Gallery has a heartbeat that extends beyond the art hung on the walls. We strive to bring a unique array of visual and performance art, offer art classes that both develop and challenge you, and be an art center that celebrates all things art. 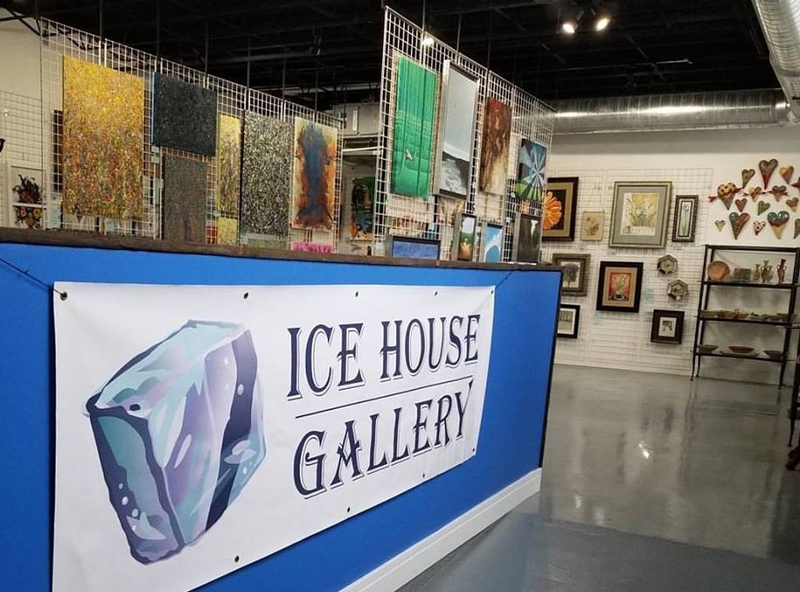 The name “Ice House Gallery” is derived from the history of the building - it originally served as a cold storage facility for massive blocks of ice, which were distributed throughout the surrounding area. Though the interior has been totally renovated, the high ceilings and enormous windows perfectly suit this new venture. Art buyers and admirers alike appreciate the artworks displayed in our aesthetically unique space, whether they visit to see our gallery, take an art class, or attend one of our monthly performance events.